Life is good for Anna Wright. She's a successful media executive working for one of the UK's largest TV corporations. She's got a great boyfriend, some close friends and a lovely home. She adores her dog, Wispa, and she loves to run to help her de-stress. But Anna's perfect life starts to crumble from the moment when, out jogging on the Heath one day, she meets a handsome stranger. She takes a route into unfamiliar territory, and then she has to face the consequences. There's a dark, growing creepiness as the atmosphere becomes unsettled and, as Anna's professional life becomes increasingly pressured and poisonous, her obsession with the intriguing stranger intensifies. 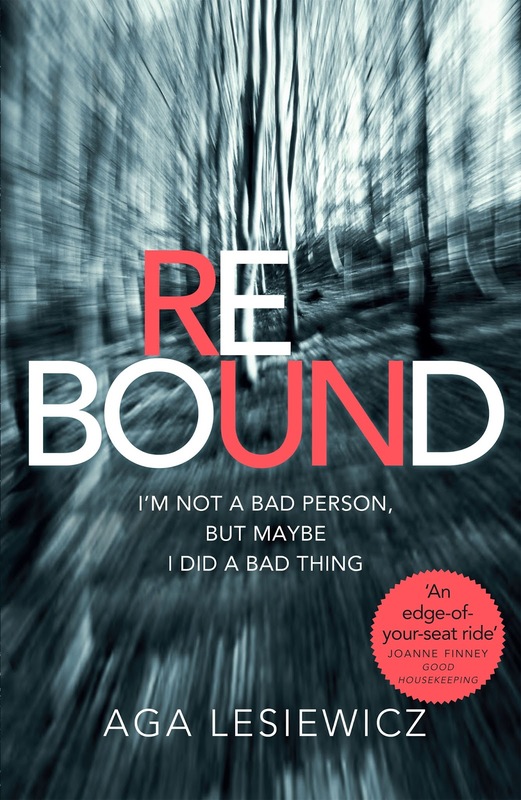 A startlingly addictive thriller from author Aga Lesiewicz, Rebound is an unputdownable debut. 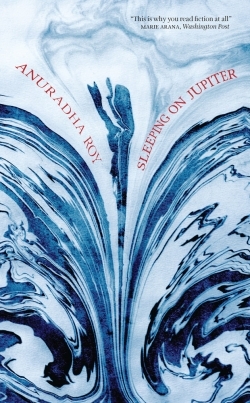 Sleeping on Jupiter / Anuradha Roy. 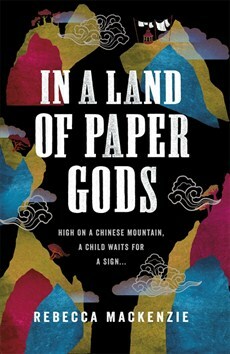 In a land of paper gods / Rebecca Mackenzie. Jiangxi Province, China, 1941. Atop the fabled mountain of Lushan, celebrated for its temples, capricious mists and plunging ravines, perches a boarding school for the children of British missionaries. As her parents pursue their calling to bring the gospel to China's most remote provinces, ten-year-old Henrietta S. Robertson discovers that she has been singled out for a divine calling of her own. Etta is quick to share the news with her dorm mates, and soon even Big Bum Eileen is enlisted in the Prophetess Club, which busies itself looking for signs of the Lord's intent. (Hark.) As rumours of war grow more insistent, so the girls' quest takes on a new urgency - and in such a mystical landscape, the prophetesses find that lines between make believe and reality, good and bad, become dangerously blurred. So Etta's pilgrimage begins. Best friends forever / Kimberla Lawson Roby. Things are falling apart in the Richardson household. Angry arguments between Celine and her husband, Keith, have become routine. She resents that he's working long hours and staying out all night, and he accuses her of not giving him the attention he deserves. Their marriage is at a cross-roads and Celine worries how her 10-year-old daughter, Kassie, will be affected. 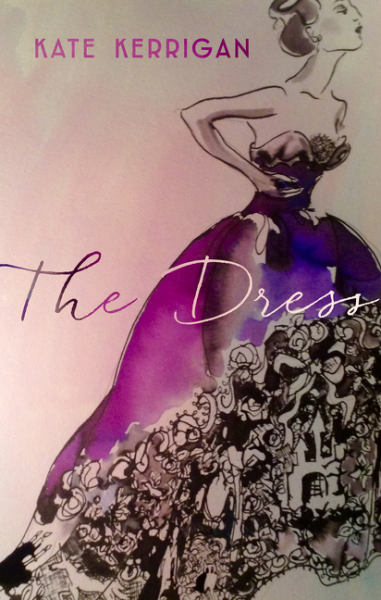 But the situation turns devastating when Celine is diagnosed with breast cancer. As her relationship with Keith deteriorates, Celine worries that she'll be left to navigate the difficult process of cancer treatment alone. But comfort and support come in the form of Celine's best friend, Lauren. They've been attached at the hip since they were children and it is Lauren who's there for Celine in her darkest moments. Now, Celine will be forced to make tough decisions-about her marriage and otherwise-and for the first time in her life, she wants to give up. Lauren vows to help by any means necessary and makes the kind of sacrifice only a best friend can. But will it be too late? Shylock is my name / Howard Jacobson. 'Who is this guy, Dad? What is he doing here?' With an absent wife and a daughter going off the rails, wealthy art collector and philanthropist Simon Strulovitch is in need someone to talk to. So when he meets Shylock at a cemetery in Cheshire's Golden Triangle, he invites him back to his house. It's the beginning of a remarkable friendship. Elsewhere in the Golden Triangle, the rich, manipulative Plurabelle (aka Anna Livia Plurabelle Cleopatra A Thing of Beauty is a Joy Forever Christine) is the face of her own TV series, existing in a bubble of plastic surgery and lavish parties. She shares prejudices and a barbed sense of humour with her loyal friend D'Anton, whose attempts to play Cupid involve Strulovitch's daughter - and put a pound of flesh on the line. Howard Jacobson's version of The Merchant of Venice bends time to its own advantage as it asks what it means to be a father, a Jew and a merciful human being in the modern world. An astute novel about inner-city Australian racism - and about humanity prevailing over entrenched prejudice. Jack van Duyn is in his comfort zone. A pot-bellied, round-shouldered cabbie in his mid-fifties, Jack lives alone, has few friends, and gets very little out of life. He has a negative opinion of most other people - especially refugees, bankers, politicians, and welfare bludgers. Jack doesn't know it, but his life is about to be turned upside down. A minor altercation in a kids' playground at an inner-city high-rise estate catapults Jack into a whirlpool of drug-dealing, ASIO intrigue, international piracy, and criminal violence. And he can't escape, because he doesn't want to: he's fallen in love with the beautiful Somali single mum who's at the centre of it all. 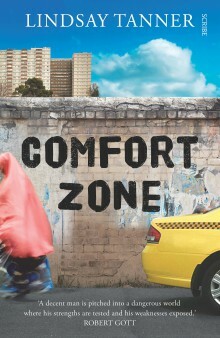 The ensuing turmoil propels Jack out of his comfort zone, forcing him to confront some unpleasant truths about himself. After decades in the doldrums, can he rise to the challenge when the heat's on? Drawing on his many years of experience as a politician at the centre of bitter debates about refugees and multiculturalism, Lindsay Tanner explores the emotional landscape on which these issues are played out. As we follow Jack's hair-raising journey from crisis to crisis, a powerful plea for tolerance and understanding unfolds - directed at both sides of Australia's great cultural divide. 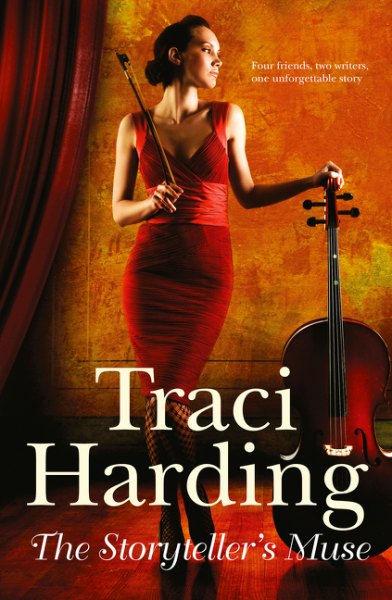 The storyteller's muse / Traci Harding. A bitter writer, an enthusiastic protege and a story that must be told. Peter is a young nurse and aspiring author whose professional dreams have come true - a patient in his care, Penelope, needs someone to transcribe her final story. Revolving around four friends sharing an apartment where they hone their artistic and musical skills, Peter soon realises there is more to the story - another presence is lurking in the building, an intriguing, creative, temperamental force that goes by the name Em Jewel. When tragedy strikes, Peter and his charming co-worker Gabrielle must finish Penelope's story before it ruins both their lives. With the help of a motley group of authors, Peter and Gabrielle are swept up into a world of art, intrigue and deception. They must choose whether to follow their heads or their hearts - with life-altering consequences. 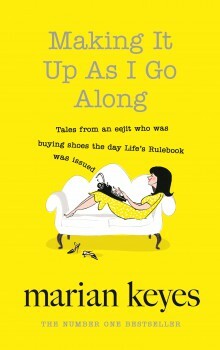 Welcome to the magnificent Making It Up as I Go Along - aka the World According to Marian Keyes™ - a bold, brilliant book bursting with Marian's hilarious and heartfelt observations on modern life, love and much, much else besides. Such as? you are determined to ask. Well, how about her guide to breaking up with your hairdresser? Or the warning she has for us all after a particularly traumatic fling with fake tan? There's the pure and bounteous joy of the nail varnish museum, not to mention the very best lies to tell if you find yourself on an Antarctic cruise. She has words of advice for those fast approaching fifty. And she's here to tell you the secret, secret truth about writers - well, this one anyway. You'll be wincing in recognition and scratching your head in incredulity, but like Marian herself you won't be able to stop laughing at the sheer delightful absurdity that is modern life - because each and every one of us is clearly making it up as we go along. They call it Keepsake, a place full of wonder ... and danger. 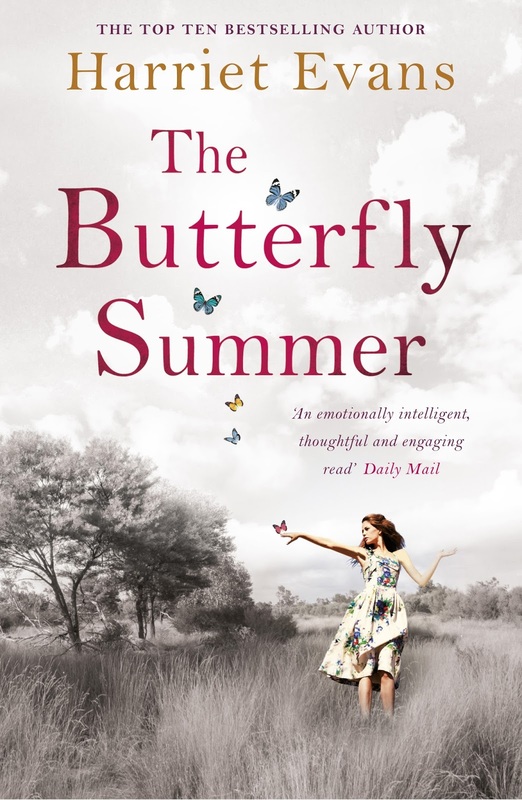 Locked inside the crumbling elegance of its walls lies the story of the Butterfly Summer, a story you've been waiting all your life to hear. This house is Nina Parr's birthright. It holds the truth about her family - and a chance to put everything right at last.